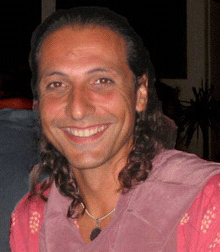 Nassim Haramein is a frontier cosmologist specializing in spatial geometry and Unification Theory. Haramein’s work demonstrates that the geometry and physics of a whole, infinite, interconnected universe yield a new paradigm for resonant technology and harmonious living. As founder of the Resonance Science Foundation, Haramein raises awareness of his theories by writing articles and giving presentations in layman terms. His most recent DVD, Crossing the Event Horizon, is a six-hour presentation explaining the fundamental principles behind his Unification theory. In addition, he has co-authored many scientific articles with Elizabeth Rauscher, Ph.D, including The Origin of Spin and Scale Unification – A Universal Scaling Law for Organized Matter.